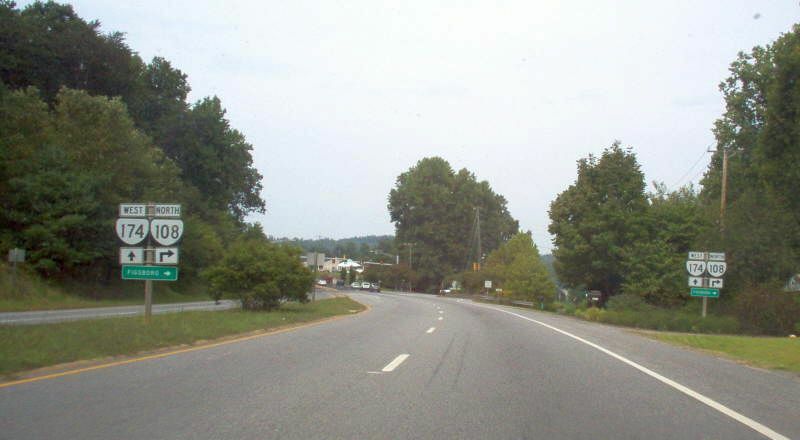 Creation: Appeared in Dec 1978 (CTB) as an upgrade to SR 882, running from US 220 Business to VA 108. This is the 2nd VA 174. Adjustments: In Nov 1990 (CTB), VA 174 was extended south to VA 57 (now VA 457), replacing part of VA 108. Comment: An alternative to downtown Martinsville from US 220 north of the city. VA 174 #1: Appeared in July 1933 as a renumbering of VA 519, running from US 60 to VA 170 (now VA 238) in the Lebanon Church area near Lee Hall. In Oct 1966 (CTB), VA 174 was officially decommissioned. 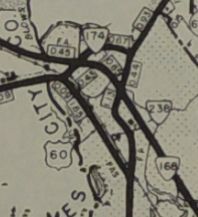 US 60 to VA 143 was obliterated by I-64 (and may have physically been gone sooner than this), while VA 143 to VA 238 became the responsibility of Yorktown Naval Weapons Station. 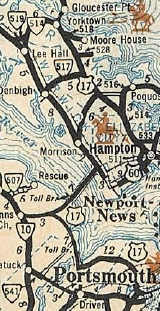 However, VA 174 remained on county maps in a reduced form through at least 1969. 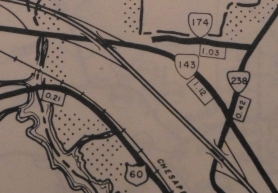 VA 174 disappeared from the main side of official maps and insets from 1944-59.